We highlight boat shows every week, but few as big as Miami, even as this year's show is smaller than usual. If delayed flights and trains, unplowed roads, a hot Valentine's date, or the economy are not holding you back, the Miami Boat Show is only one place to be this weekend. Even a scaled down Miami show is still bigger and better than most others boat shows around the country throughout the year. This year the show spans two locations. First there's the Miami Beach Convention Center with exhibits and boats up to 85 feet long on display in and outdoors. Second, there's the Sea Isle Marina & Yachting Center… That's where you'll find hundreds of powerboats on display this year as you walk the docks, as well as the show within the show, Strictly Sail Miami. Strictly Sail could easily stand alone as its own show, featuring sailboat rides, sailing seminars, an Eric Stone concert, and of course, some really big sailboats. 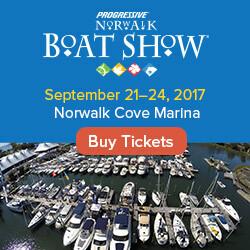 We should mention that there are other boat shows this weekend in Syracuse, New York and what looks like a pretty good sized show in St. Louis, MO. 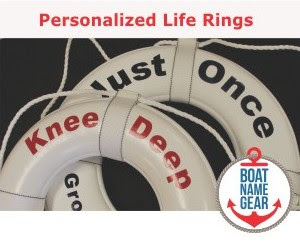 Details for all these and other events are on our boat show calendar.